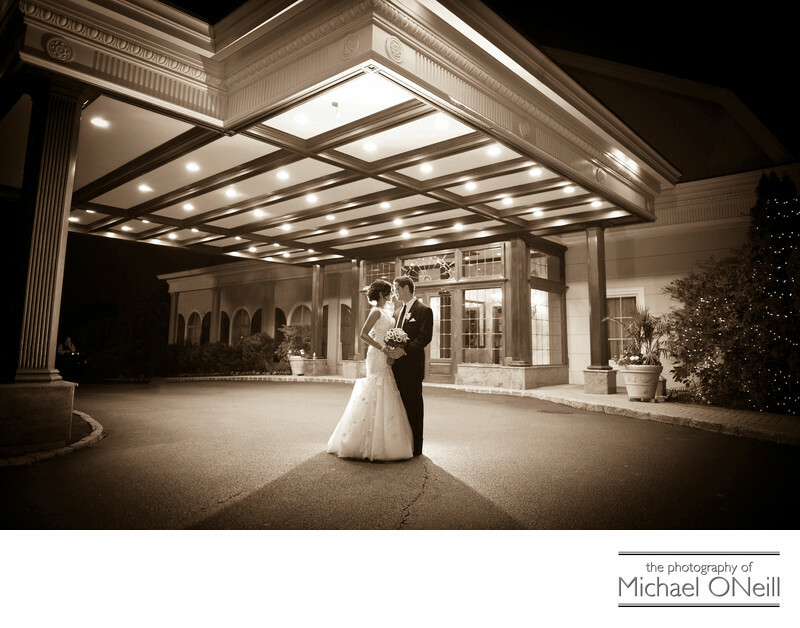 The North Ritz Club on Jericho Turnpike in Syosset, NY is quickly becoming one of Long Island’s most popular wedding venues. I’ve had the opportunity of working at this NY catering hall numerous times since they opened their doors a couple of years ago and it is becoming one of my favorites, too. The impeccably manicured grounds, replete with stunning gardens, a pond and fountains provides the perfect backdrop for wedding photographs. The stunning exterior architecture and the main lobby with it’s beautiful staircase is yet another amazing view to behold. The food at the cocktail hour and on the sit down dinner menu is fantastic. The service is impeccable. What more could any bride ask for when planning the perfect wedding for themselves, their friends and their families.The photograph you are looking at here was taken at the end of day two of this amazing wedding celebration. Yes, you read that right...this was a two day wedding celebration. Day one consisted of a traditional Indian wedding ceremony with a modest reception following for close family and friends. Later that evening we covered the rehearsal dinner at The Harbor Club at Prime on NY Avenue, overlooking Huntington Harbor in Huntington, New York. On day two we covered the customary bridal preparations before heading to St. Patricks RC Church on Main Street (Rt.25A) in Huntington. We then wandered around the village of Huntington taking some awesome candid, casual pictures of the bride and groom. Wait...there is more. We then went up to the boardwalk and beach overlooking Huntington Harbor and Bay with the bridal party before finally arriving at The North Ritz Club for the fantastic cocktail hour, dinner reception and awesome party.In my 30 plus years as a wedding photographer I have witnessed and have become proficient in photographing weddings of all faiths and nationalities. If you are planning an Indian wedding celebration I would love to show you some samples of the events I have photographed during my career. Give me a call and we’ll set up a time to meet at my East Northport, New York studio and gallery. I welcome the opportunity to sit down with you and discuss your plans for your big day(s).